If you were to ask Rebecca Herrmann about her most important priorities, she’d tell you that quite simply, “It’s all about family.” As a wife and the mom of two active teenagers, nothing gives her more pleasure than being involved in their lives and spending time with them. Six years ago, when the family left Oregon to move to Henderson, Nevada, it didn’t take long for the couple to realize that this was a pretty great place to live and raise their kids. And it was shortly after landing here that chance and good timing brought together Rebecca Herrmann and Dr. Michael Crovetti. Herrmann had a good feeling about Dr. Crovetti and his staff from the start, and with good reason. Only nine months later when the Office Manager left, Dr. Crovetti moved her into that position. Ever since, in her role as Office Manager of this dynamic team of nine talented individuals, she’s kept that in mind. As a result, it’s possible that she’s part of one of most friendly, functional, and focused teams in town. When all that positive energy is concentrated on a single goal – in this case, providing the best care for their patients – it’s almost a no-brainer that it’s going to turn out well. “That’s not to say that people don’t sometimes make mistakes,” she adds. “But when they do, I try to reach out and help them find solutions and learn how to do a better job moving forward. I’ve always had a “How can we fix this and do it better the next time?” mindset. Maybe my teaching background has something to do with that,” she smiles. 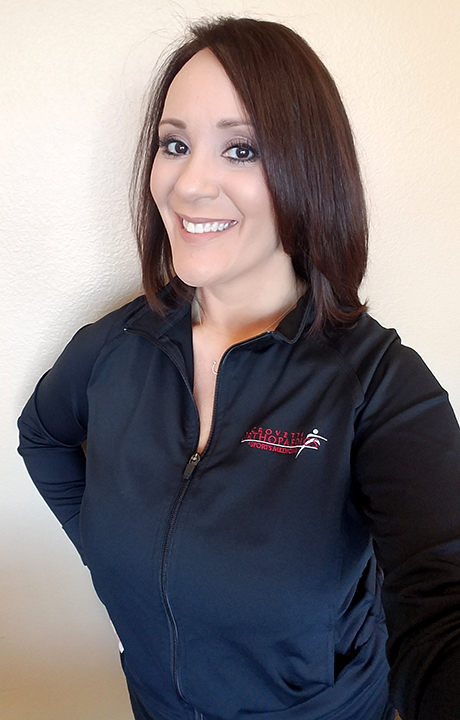 As Office Manager, Rebecca oversees everything that occurs in the clinic – from the initial patient contact, to appointment flow, tests, insurance, billing, scheduling, and more. But for her, the best thing about working in a real workplace ‘family’ setting is being able to rely on those you work with. After nearly five years on staff, Herrmann was given the opportunity to observe Dr. Crovetti in action during surgery. It was an exciting event as it gave her more insight to the total patient experience. As she recalls, “I was completely mesmerized and found it incredibly interesting to watch. Family at home, family at work – Rebecca Herrmann has hit on a winning combination that allows her to welcome each day with a smile.